get the phones ringing or keep customers coming back for more, Google Ads can help. — or within a set distance from your business or shop. Web Analytics provide detailed information on the performance on your site and are a vital tool in maintaining a efficient and correctly performing website. 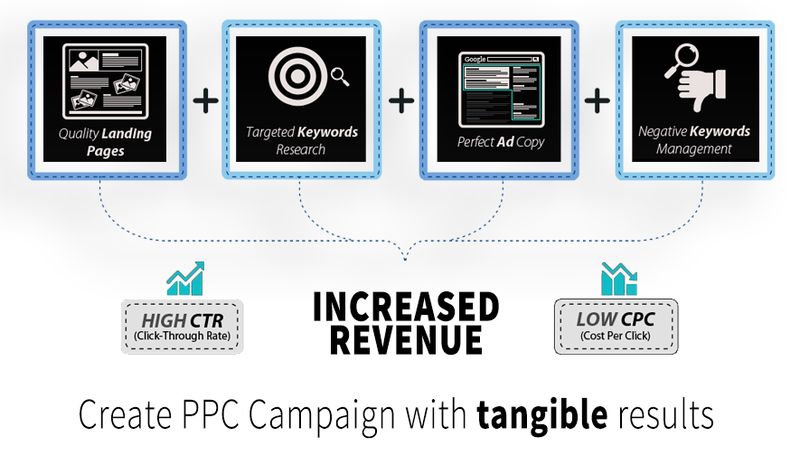 Pay Per Click is an advertising method used on websites and search engines. This is the process of advertising where the advertiser pays only when a website visitor clicks on the ad. Pay Per Click(PPC) is the cost-efficient way of getting businesses noticed by the target audience while the different other types of online based marketing strategies are slowly helping the websites gain organic high ranking positions in search engine results. Search Engine Marketing is an online marketing strategy known by all internet marketers as one of the most effective strategies to use. Without proper optimisation, it is quite impossible for a website to garner higher traffic quantity because it means that top search engine result is also not achievable.